Millions of people of different ages wear dentures – without detection – to enhance their appearance and dental function. At Derwent Street Dental Practice, we will create a denture appliance that fits snugly and comfortably, improves your ability to eat and speak, boosts your confidence and restores your facial shape. 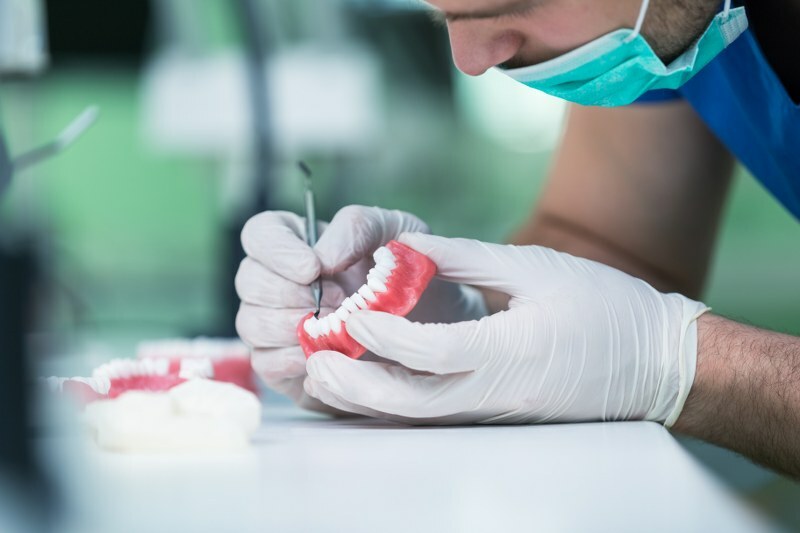 Our appliances will be custom made for you at our laboratory and can either be a full or partial denture depending on the extent of tooth loss. When you have lost teeth, it is important to replace them as soon as possible to prevent any problems with your remaining teeth and jawbone. Dentures are an attractive, reliable and hard-wearing solution to lost teeth. We want to ensure that your denture is comfortable and effective, so it may take a few appointments to create the ideal appliance. We will need to take impressions of your mouth so that our laboratory team can create the right-sized and shaped appliance. At the next appointment, we will show you a replica appliance so you can see how it fits and feels. Once we have adjusted the replica and ensured you are comfortable, we will have the final appliance built. Dentures are removable and easy to clean. We will support denture wearers to maintain their oral health and make sure their appliance is comfortable and functioning. If you have concerns regarding the cost of dentures, we offer a range of flexible finance options so you can spread the cost of treatment.